A cult like community where marriage is the focus. How far would you go to make sure your marriage is successful? How far would they go to keep you in line? Meet Alice, the lawyer, and Jake the psychologist. Newlyweds, happy and living the dream. Then they receive an odd package from one of Alice's most prestigious clients - The Pact. After talking to Vivian, a member of The Pact, they find out that The Pact has one goal - keep marriage happy. There's a manual on everything: monthly gifts exchanged, mandatory trips four times a year... and do not speak of The Pact to anyone. Never ones to put off a challenge, they enjoy the solidarity of the community... until Alice breaks one of the rules. Punishments meted out to ensure rules aren't broken are more than they ever had expected. No one leaves The Pact... alive, that is. I flew through this book - an absolute page turner. It reminded me of a cross between the movie The Box with Cameron Diaz and James Marsden (mmm... James Marsden <3) and King's Quitter's Inc. I love reading anything related to cult like societies and this definitely fits the bill. The Pact is larger than anyone seems to foresee and their influence seems to be beyond reproach. Where the author takes you re their punishment had me on the edge of my seat. What is going to happen to Jake and Alice? Will they make it? Together? Separately? What other punishment could possibly be enforced to make them comply? Utterly fascinating. Then the ending... guys and gals, I'm not going to say too much as I don't want to spoil it for anyone, but W...T....F.... It just didn't fit for me. To have all the build up lead to that had me scratching my head and I either need another book to figure out what happens next, or an ending that wasn't ... so... neat? Off kilter? I don't even know. I'm perplexed and confused and felt a bit let down. I will say this, the author knows how to weave a tale and keep you focused. Told strictly through Jake's POV, we get a real sense of who he is and how much he loves his wife. I mean, no matter how much you know your partner, do you ever really know EVERYTHING? Is there every such a thing as FULL disclosure? I would 100% pick up another book by Michelle Richmond. Until then I'm going to stew on this one for a bit. I'm truly torn on how to rate this one so I'll stick with 3.5 stars due to the ending..
How far would you go to keep your marriage perfect? 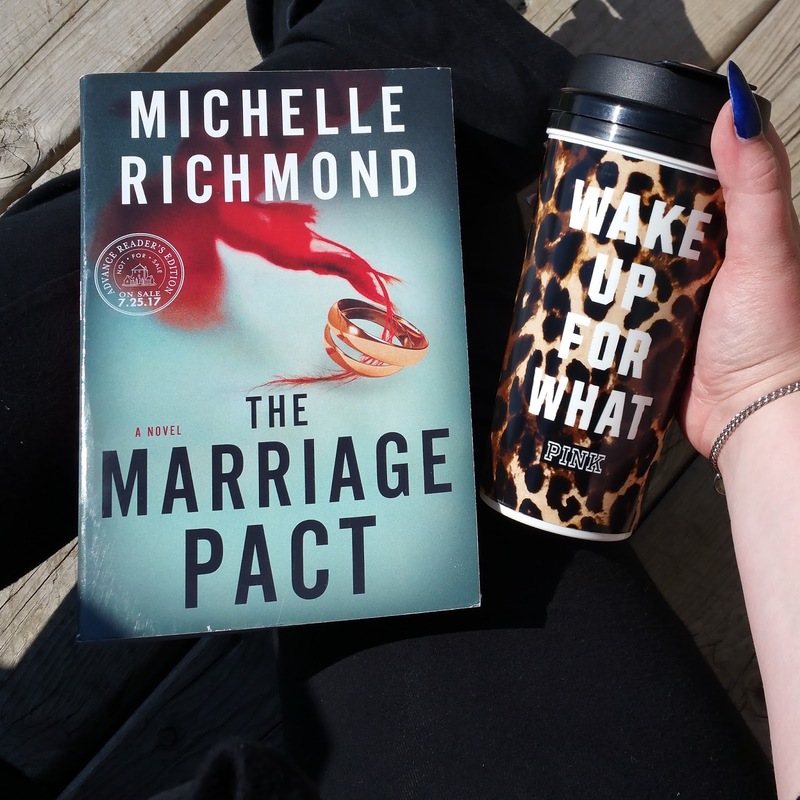 THE MARRIAGE PACT by Michelle Richmond is about the picture perfect newlywed couple, Jake and Alice. They are presented and opportunity to join an exclusive and mysterious group called, The Pact. Seduced by the group, Jake and Alice take the plunge and join, but when rules are broken they will learn the hard way - The Pact is for life. Alice is a successful lawyer and her husband Jake is a psychologist. Living in newly-wedded bliss, they receive a wedding gift from some of Alice's prestigious clients. An invitation to join The Pact. The opportunity to join The Pact is incredibly enticing, they have one goal, to keep marriages happy and intact. There are simple rules to follow: always answer the phone when your spouse calls, exchange thoughtful gifts monthly, plan a trip together once per quarter, and the most important, never mention The Pact to anyone. Fight Club vibe, anyone? The couple is really enjoying being apart of this community. Everyone is close and their marriage is happy. However, when Alice breaks one of the rules they learn that there are punishments and most importantly, The Pact is for life. Throughout the story, we learn along with the characters that The Pact has influence and reach everywhere and there is no escaping them. This was a great psychological thriller meets domestic thriller. The cult vibe is even better - I find cults to be incredibly fascinating and Michelle Richmond did a great job capturing the eeriness and the seductive qualities that a cult provides. Who wouldn't want to be a part of a group like that? How hard is it to comply with their simple rules? I will say that the ending definitely felt like it came out of nowhere. I'm not entirely sure how I feel about it yet. It definitely left me with some questions and needing some more closure. Overall, this was a great and unique domestic thriller. If you're a fan of cults, domestic thrillers, and an element of psychological thriller, then this is one you need to pick up! I loved this book and think it's another highly anticipated summer 2017 release that lived up to it's hype! When newlyweds, Alex and Jake, receive a wedding gift that invites them into an exclusive and mysterious group for married couples, they are flattered. The goal of The Pact is simple. Keep marriages happy and intact. Seduced by the glamorous parties and sense of community, they embrace The Pact. They are given a manual with all the rules, one being: don’t mention The Pact to anyone. As Alice and Jake try to adhere by their rules, they realize how much different The Pact is and how dangerous The Pact can be. 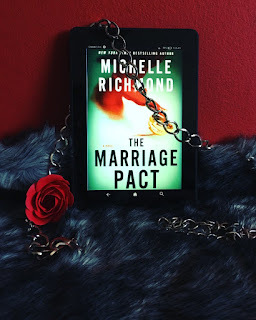 I love any book that has a cult vibe, so when I discovered The Marriage Pact by Michelle Richmond it immediately moved to the top of my TBR pile. 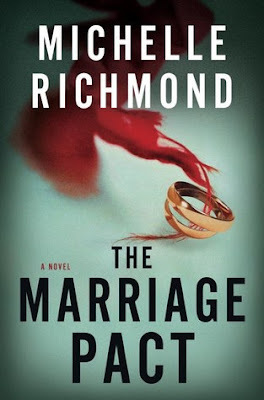 I loved how this one took the domestic suspense genre and gave it a twist. I was so glad to read something where the conflict lies not between the married but couple, but instead, the married couple against the world. It really was like married people Fight Club. Richmond is able to create two incredibly likeable characters in Jake and Alice. They complement each nicely and were very realistic. 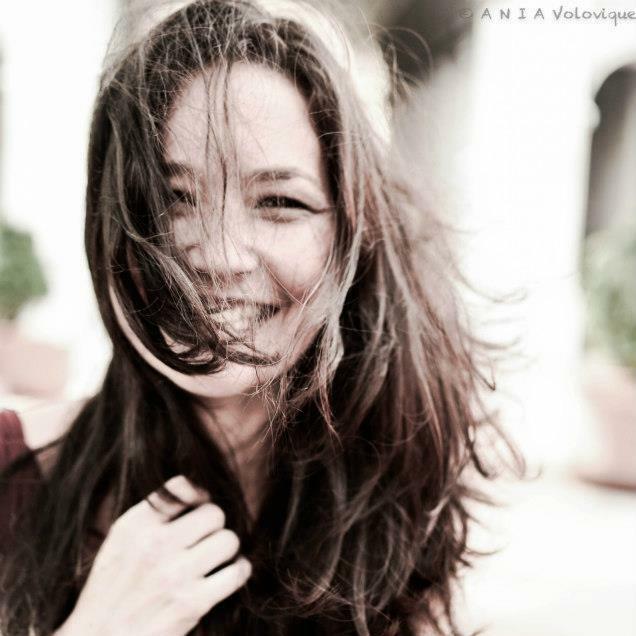 She also was able to create such a well put together and fast paced plot. I was engaged throughout and was continuously worried about Jake and Alice as they navigated their way through The Pact. Truly, at times, it became super creepy! I couldn’t believe the lengths that the members were willing to go. I read this one as a buddy read with Danielle from The Blonde Likes Books and we were continuously messaging each other with our worries. I did feel like the ending was a random and kind of out in left field for me, especially in regards to the general tone of the book. Overall, I loved this book and would highly recommend it!! Big thank you to Random House / Bantam Books for these copies in return for our honest opinions.